When the Glen Canyon Dam was completed in 1963, Lake Powell started to fill, eventually extending more than 180 miles up the Colorado River in Arizona and Utah. Named by John Wesley Powell in 1869, Glen Canyon lay at the heart of the most remote, rugged, and least-populated area in the American Southwest. The region’s character was transformed by Lake Powell, which now attracts nearly two million visitors a year. The flooding of Glen Canyon contributed to the growth of the environmental movement and the cancellation of dams planned for Marble and Grand Canyons. 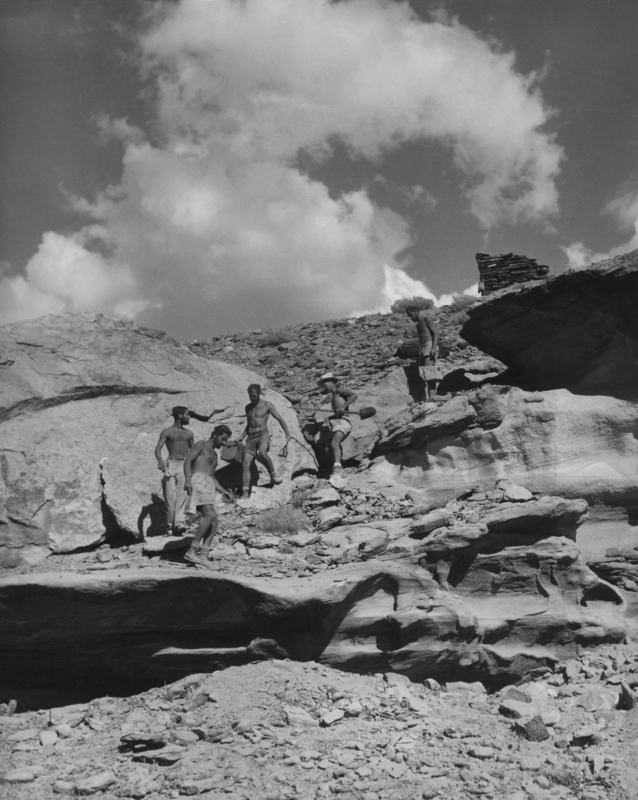 The Glen Canyon Archaeological Project was the “mega-project” of its day, with crews in the field from 1957 through 1963. It recorded over 2000 sites documenting intermittent episodes of occupation, from Archaic through historic times, in response to climatic shifts and to cultural and demographic changes in adjacent upland regions. I was a crew chief on the U. of Utah part of the “GCP” from 1958 to 1960, and a crew member in summer, 1961, after I had returned to graduate school. The project set me on course for a career in archaeology (as it did many others). The talk reviews some of the archaeological contributions of the GCP, as well as its logistical challenges and political context. It is illustrated with digitized versions of slides and film clips taken during the project. One of the episodes shows excavations at Defiance House, a well preserved but then difficult-to-access cliff dwelling that is now a Park Service visitor attraction.